"This season of life is incredible. God has answered prayers all along the way." Three days after announcing her New York City engagement, Jinger Duggar reaches out to fans to share just how thrilled she is to be engaged and planning her future as Jeremy Vuolo's wife (video below). Since the big engagement, Jinger Duggar's family members have shared their congratulations via statements and video messages. You won't want to miss a single episode! Check out the season two promo video below. For those wondering, the song playing in the background is "Brand New" by Ben Rector. 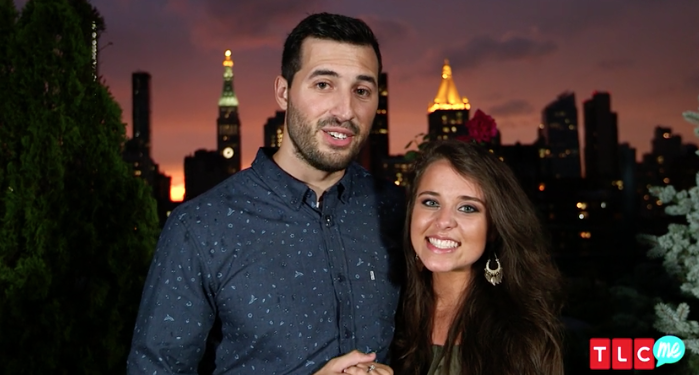 It has been 24 hours since Jinger Duggar announced her New York City engagement to Jeremy Vuolo, and we couldn't be happier for the soon-to-be married couple. They have not yet revealed their wedding date, but when and if they do, we will share it with you all right away. Jessa and Ben Seewald, who were at the proposal, created a short video in honor of the exciting milestone. Jessa and Jinger have been best friends since childhood, so it is fitting that Jessa and Ben were the ones who introduced Jinger and Jeremy. Jill, Derick, and Israel Dillard also offered their congratulations, all the way from Central America. They will be returning to the United States very soon for a visit that will extend into the fall (more on that here). The Dillards also sent a video message to Derick's brother, Dan Dillard, and his fiance, Deena. 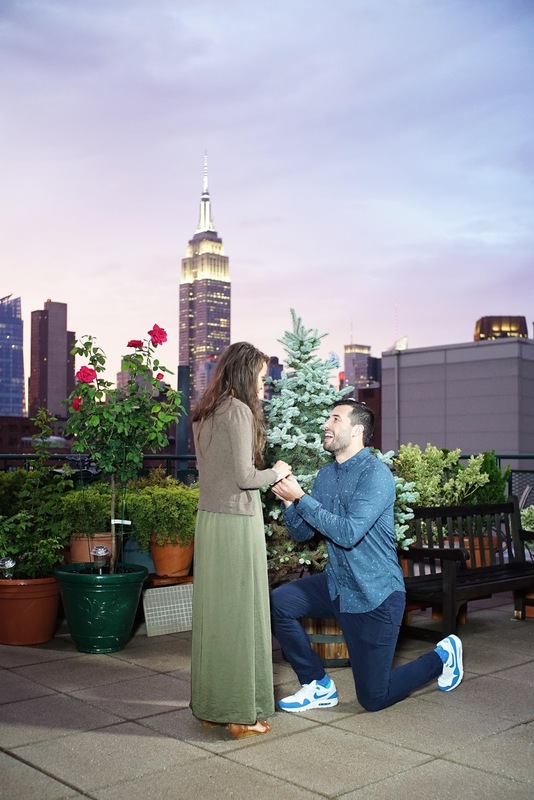 As we announced last week, Dan and Deena are also newly engaged. 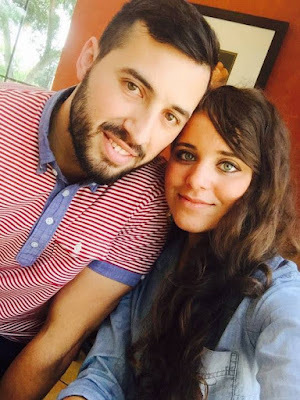 Who would have known that the outfit that Jinger showed off--a green dress that she scored for six bucks at a resale shop, coupled with a brown cardigan--was the outfit she would be wearing when her boyfriend, Jeremy Vuolo, proposed! 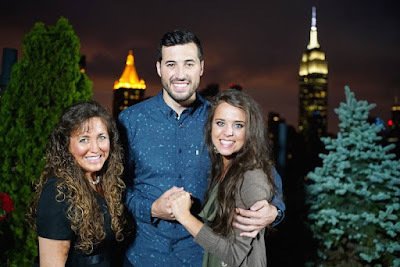 News of Jinger Duggar's engagement was released exclusively via PEOPLE Magazine this morning. (Click here to watch the announcement video.) The PEOPLE article was followed by a statement from the couple, as well as one from Jim Bob and Michelle Duggar. Both can be found on the Duggars' website. "We are overjoyed to be engaged!" wrote Jinger and Jeremy. "It was a beautiful moment, and we look forward to a lifetime together. We are so grateful for how the Lord has brought us together." The setting of the proposal was perfect for Jinger, who has said before that she enjoys visiting cities. Can you tell what city the two lovebirds are in? 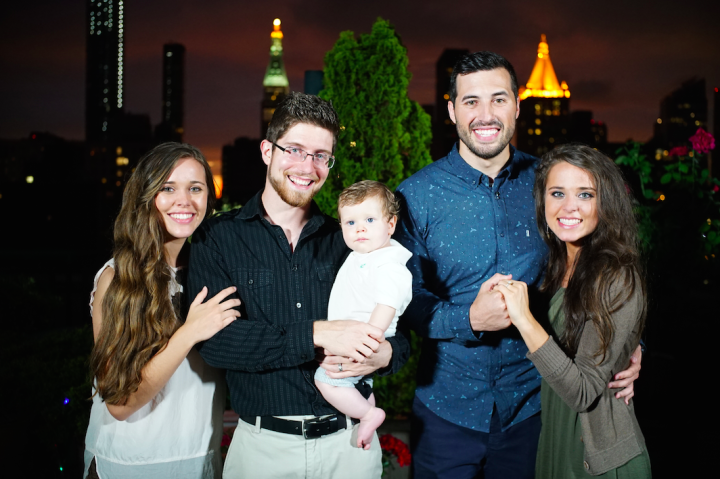 As Jinger and Jeremy shared when news of their courtship broke last month, they were introduced by Jessa and Ben Seewald. **Be sure to tune in to TLC at 8pm ET/7pm CT on Tuesday, August 23rd, for the season two premiere of Counting On. 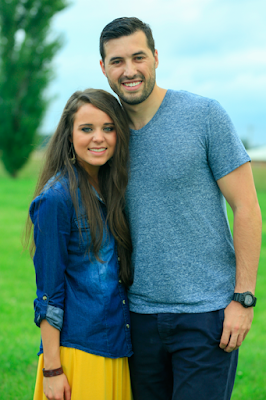 TLC also just revealed the season two premiere date of Counting On...Tuesday, August 23rd, at 8pm ET/7pm CT. You can rest assured that Jinger and Jeremy's relationship will be featured in the new season. 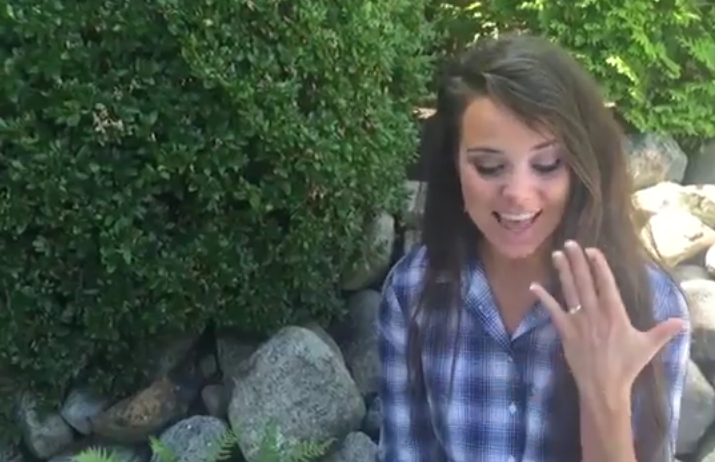 "I cannot believe that I am engaged to the man of my dreams, the man that I've asked God for," says Jinger Duggar in the TLC clip below. "God is so kind, and I just cannot believe it!" Just one month after announcing their courtship, Jinger Duggar and Jeremy Vuolo have even bigger news to share. They're engaged! And season two of Counting On returns to TLC Tuesday, August 23rd, at 8pm ET/7pm CT.
Stay tuned for more details on both announcements! Happy belated birthday to Meredith Duggar, who turned one year old on July 16th! As the second youngest of the six Duggar grandchildren, this little cutie receives plenty of attention from her many aunts, uncles, and siblings. 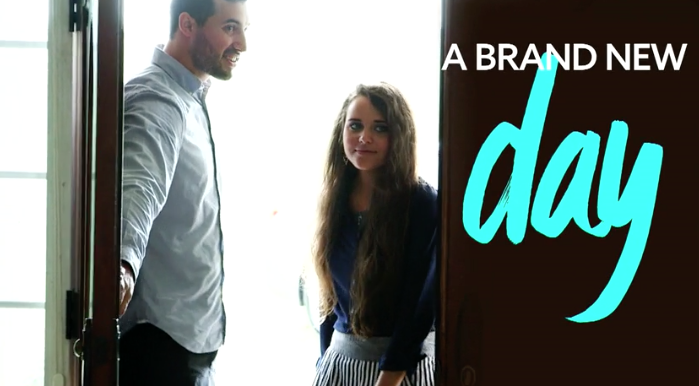 Here are a three new Duggar snapshots, including one of Jinger and Jeremy. Four years ago (my how times flies!) we published a post with the meanings of the Duggar's first and middle names. For those who are wondering, "Jeremy" means "God will uplift," which is nearly identical to the meaning of "Jeremiah," which is "exalted by God." 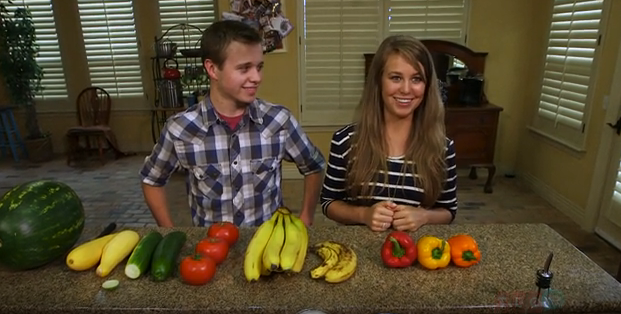 In the following video, Jana and Jason share their knowledge on acquiring the best quality produce, whether you are purchasing fruits and veggies from the grocery store or growing them in the garden. 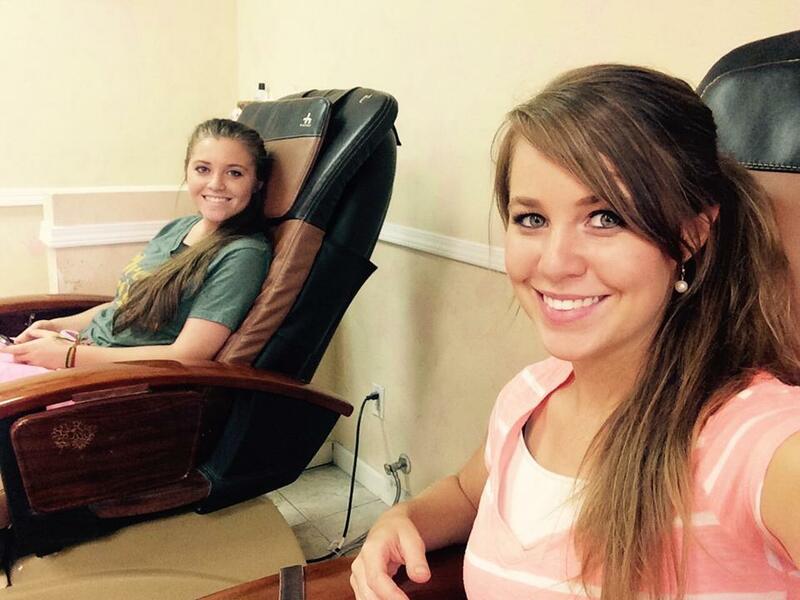 At 26 years old, Jana is the second oldest Duggar kid, while Jason--age 16--is number 12 in the family lineup. 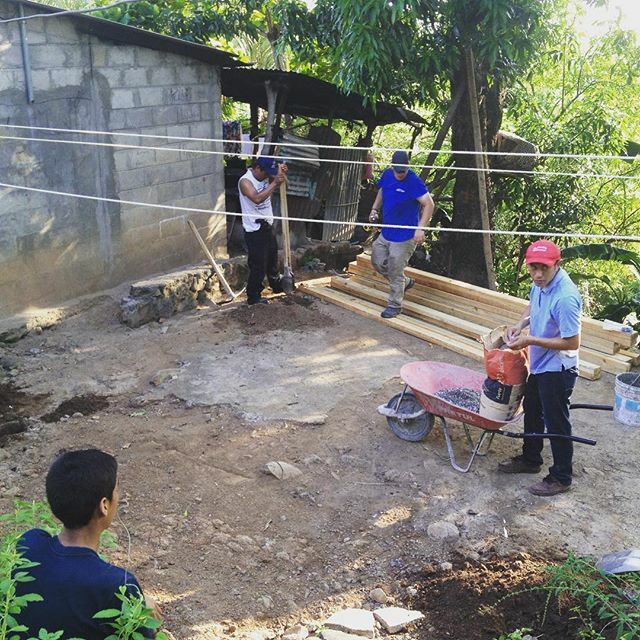 Isn't it wonderful to see siblings who are 10 years apart working together to complete a project? 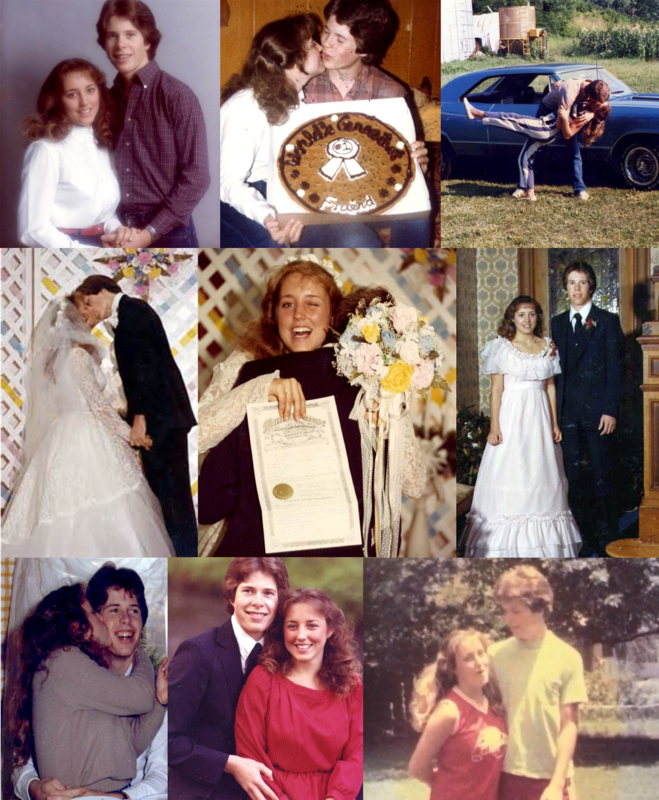 As we shared early this morning, today is Jim Bob and Michelle Duggar's 32nd wedding anniversary. 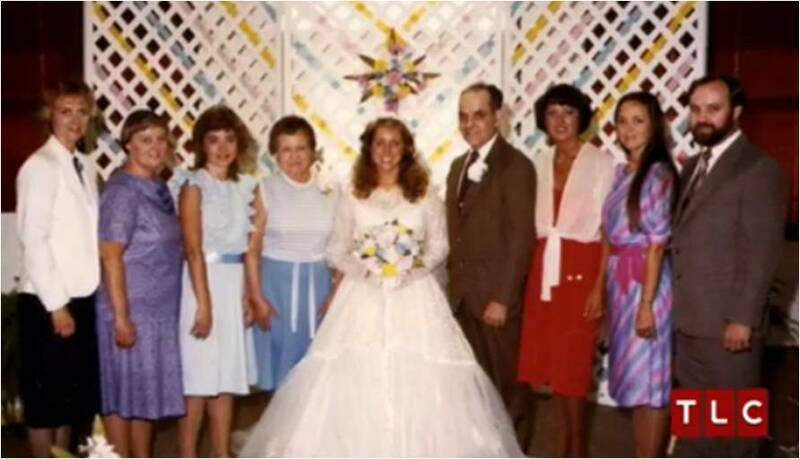 Several of their children and children-in-law filmed videos, which we have embedded below, in honor of the special occasion. Visit duggarfamily.com to read Michelle's lovely letter to Jim Bob. 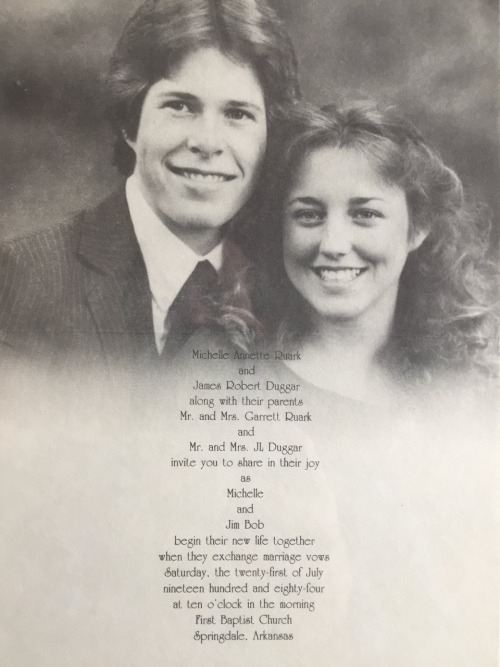 Thirty-two years ago, Jim Bob Duggar, 19, and Michelle Ruark, 17, became husband and wife in front of a small crowd of family members and friends at First Baptist Church of Springdale. 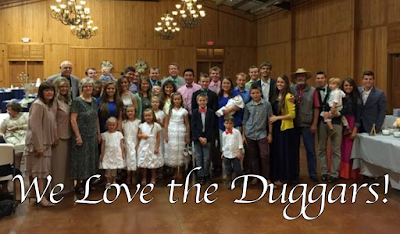 (Click here to find out why that church means so much to the Duggar family.) Michelle arranged her own bridal bouquet, baked her own wedding cake, and wore a hand-me-down dress from Grandma Duggar. 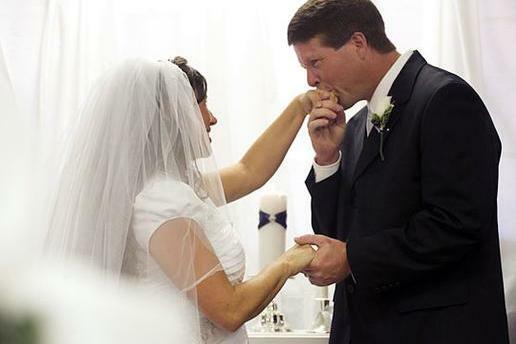 Seven years ago, Jim Bob and Michelle renewed their wedding vows in celebration of their 25th anniversary (18 Kids and Counting, "20 Years, 20 Duggars"). 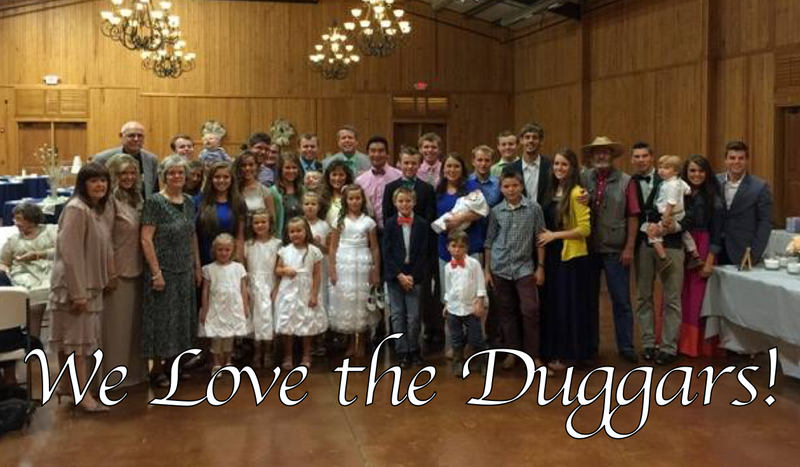 Every year on July 21st, the Duggar kids gather around to listen to the audio recording of Mom and Dad's wedding ceremony. 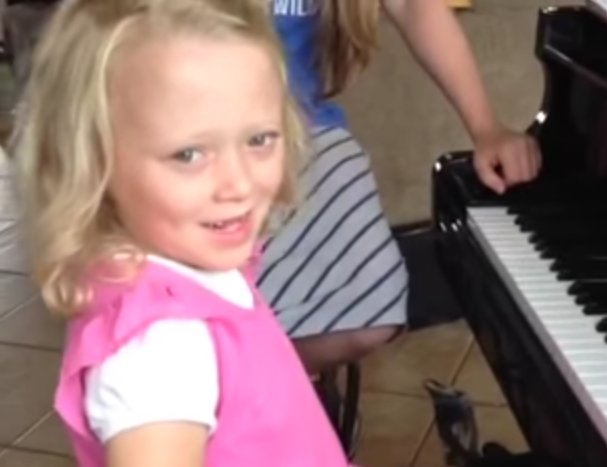 Little miss toothless Josie is ready to follow in the musical footsteps of her 18 brothers and sisters! The Duggars have been friends with Debbie Query and her four children--Mandie, Heidi, Amara, and Peter--for many years. 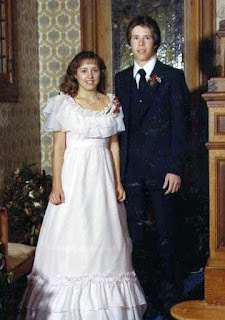 You may remember Debbie from the annual single women's Valentine's Day tea and luncheon that she organizes, with help from the Duggars. 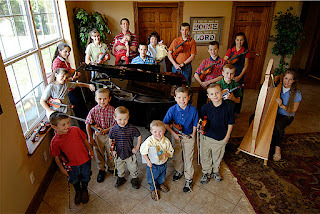 Mandie has been teaching private music lessons since 1999 and has taught many of Jim Bob and Michelle Duggar's children how to play violin and piano. Here's a short video that shows Josie Duggar's first piano lesson with Mandie. We especially love the part when Joy Duggar asks her little sister what she's learning, and Josie responds: "Umm...stuff." 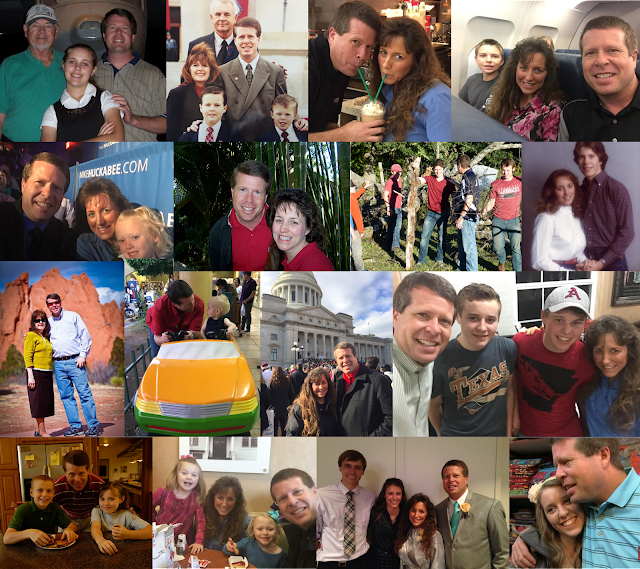 Wishing Jim Bob Duggar a blessed birthday! 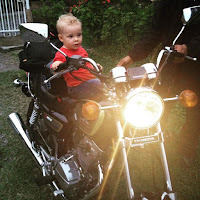 As the father of 19 and grandfather of six, this godly man has a deep love for his family and a strong servant's heart. He and Michelle truly are a "dynamic duo" and have impacted millions of lives in their (almost) 32 years of marriage. 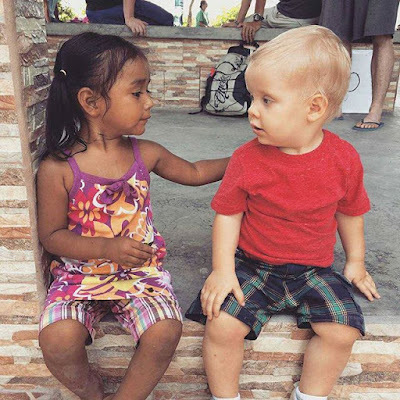 Earlier this week, multiple tabloids released articles with headlines indicating that Josh Duggar would join his siblings on season two of Counting On. TLC quickly spoke up, as a source from the network told PEOPLE Magazine that the rumors are "absolutely untrue." 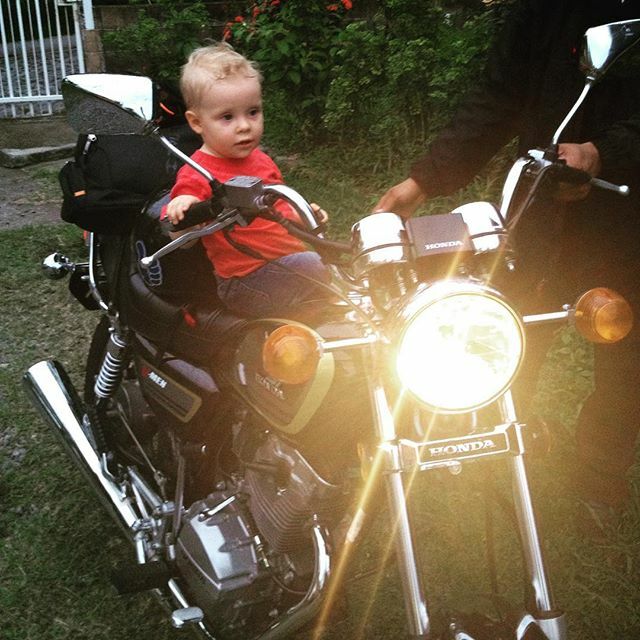 As we reported last year, TLC announced that Josh would not be part of any future programming. Season two of Counting On premieres later this summer. We will let you know as soon as the network nails down a date. One of the advantages of having eight sisters is that you can always find something cute to wear. And the more gals you have in your family, the more outfits and accessories there are to choose from! "It's pretty much free game," explains Jinger Duggar. "...Whatever works for you in the closet, you can wear it." 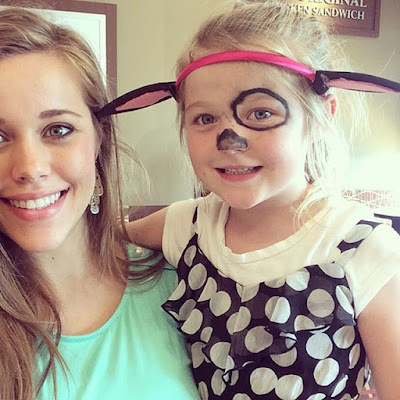 In the TLC webisode below, she and Jessa (Duggar) Seewald show off their favorite outfits and share a few tidbits of fashion advice. Jill and Derick Dillard just shared a ministry update on their website, along with several pictures. 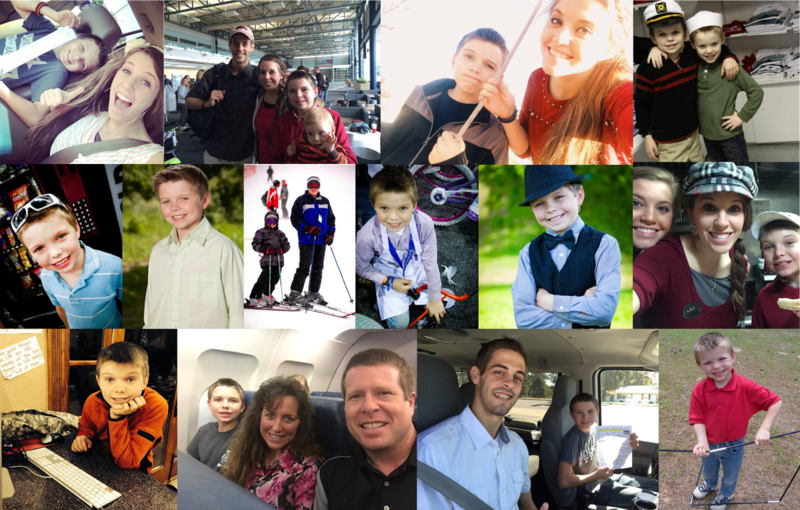 We have posted a few highlights below, but we encourage you to visit dillardfamily.com to read the full ministry update letter. -During a recent rainstorm, a tree in the Dillards' yard was struck by lightening. Jill and Derick are grateful to God that no one was injured. -In an effort to unite the ladies at her church, Jill Dillard hosts a weekly women's Bible study. "Israel loves having company and usually makes the rounds asking everyone for a bite of their food!" Jill writes. -To celebrate their two-year wedding anniversary on June 21st, Jill and Derick were blessed with a one-night stay at a hotel, where they enjoyed "the pool, wifi, and warm showers." -At 15 months old, Israel Dillard is 33 inches tall and weighs 28 pounds, which is roughly the average height and weight of a two-year-old boy. 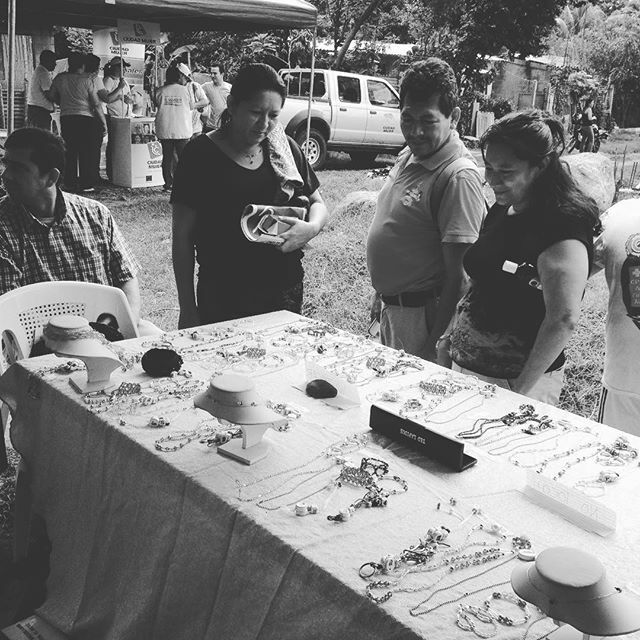 -In addition to their other ministry activities, the Dillards continue to partner with a local craftswoman to teach ladies who attend their Bible study how to make jewelry. -S.O.S. Ministries is sending multiple short-term mission teams, some of which will serve alongside Jill and Derick, to Central America during the month of July. 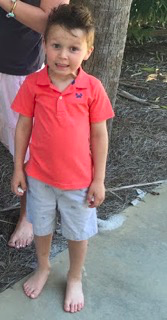 After these teams leave, the Dillards will return to Arkansas for a period of time. 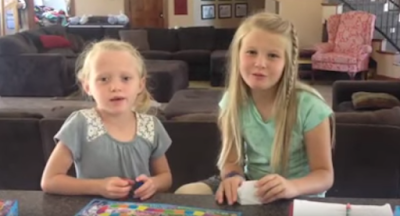 They have not been home since last fall and are looking forward to being with family. 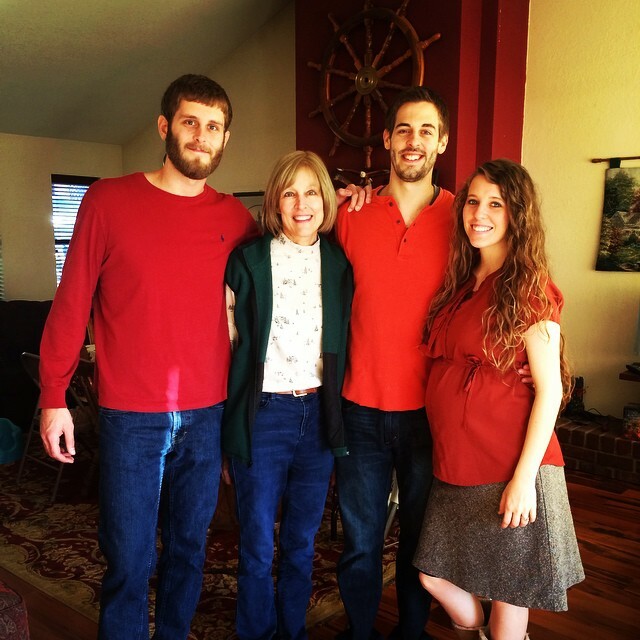 Jill and Derick plant "to take some Bible classes and be involved in local ministry" while they are in Arkansas. 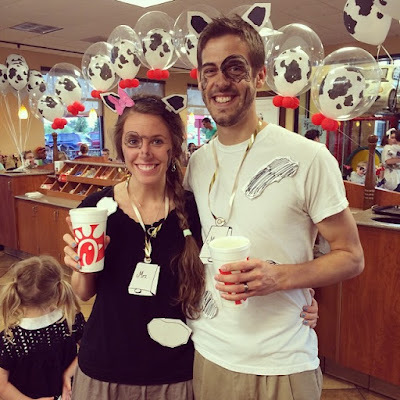 Chick-fil-A is hosting its annual Cow Appreciation Day! Restaurant guests who wear cow attire will receive a free entrée today until 7:00pm. 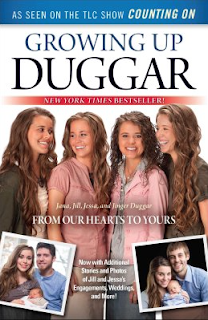 Here are the answers to Saturday's Duggar Trivia question. How many points did you earn? 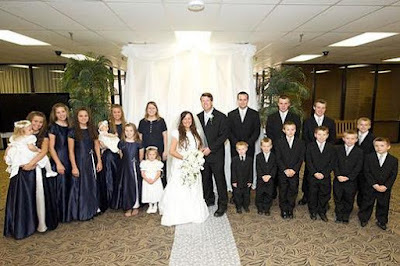 Jill had six bridesmaids and four flower girls; Jessa had eleven bridesmaids and two flower girls. In 2010, the Duggars did a family photo shoot that included pictures of their buddy teams. Each of the older girls headed up a team of four, with Jill's consisting of herself, Joy-Anna, Justin, and Jennifer. Although she is married, Jill still maintains a close relationship with her buddy team, which now includes James instead of Justin. 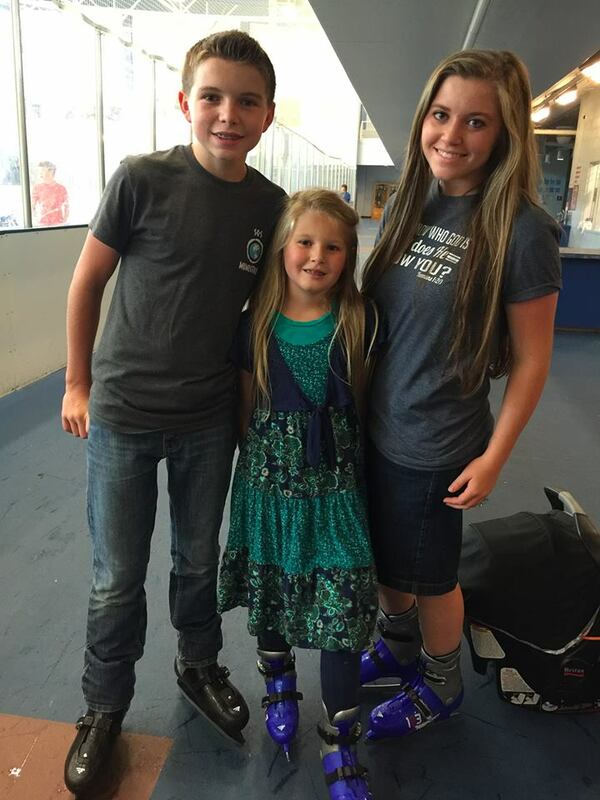 While at a roller skating rink celebrating James' 15th birthday yesterday, the Duggars snapped a picture of James' team, minus Jill, who is still in Central America. 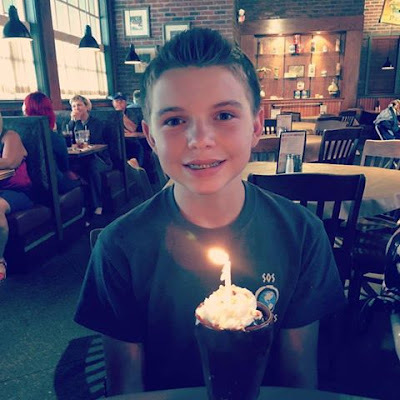 Jim Bob and Michelle Duggar also treated James to the usual Duggar family birthday treat: a chocolate mess from MarketPlace Grill. During the two-week blogging break that we took in mid-June to allow Ellie's wrists to heal, we missed two important "holidays." 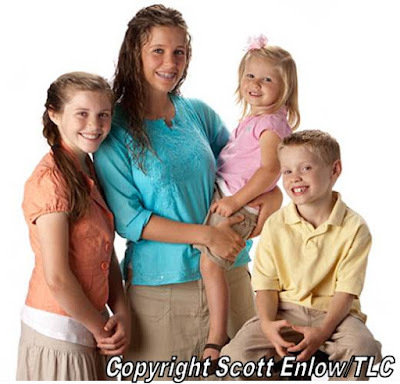 The first was Michael Duggar's fifth birthday on June 15th. 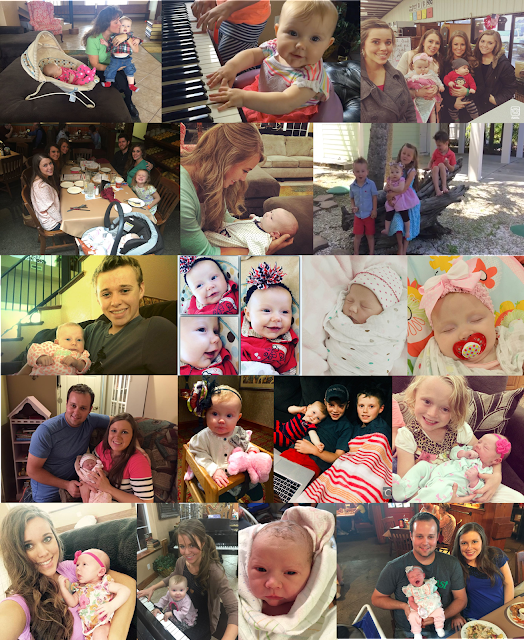 We posted a picture collage for Marcus Duggar's third birthday on June 2nd, but we never did share this video. Hope you enjoy it, even though it's a tad late. After you watch the video, scroll back up to take another look at Michael's picture, and you'll notice how similar the two brothers look. Happy belated birthday, boys! We hope all of our American and Canadian readers had a blessed holiday weekend celebrating 4th of July and Canada Day. 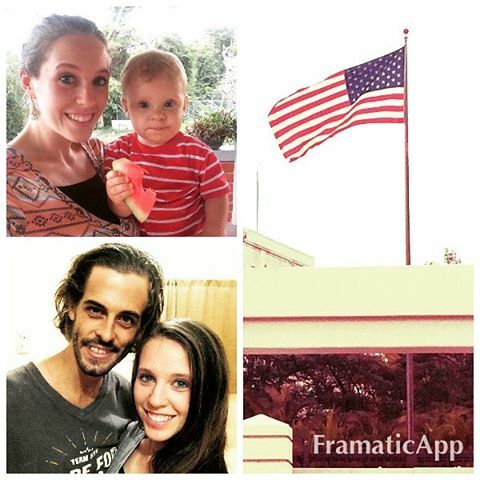 Although Jill and Derick Dillard are more than 2,000 miles from home and are not living on American soil, they still made a point to celebrate American Independence Day. They chowed down on buffalo wings from Pollo Campero, the world's largest Latin chicken chain. Founded in Guatemala, Pollo Campero now has more than 300 restaurants worldwide, including more than 55 locations in the United States. Here are a few snapshots from the Dillards' weekend. Earlier this year, Simon & Schuster released an updated version of Growing Up Duggar, the book that Jana, Jill, Jessa, and Jinger wrote two years ago. 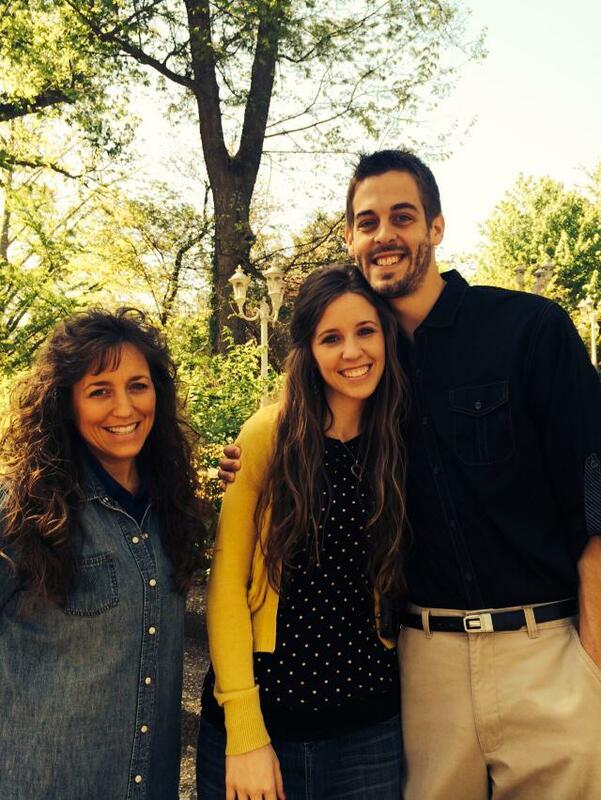 Derick: "I had had a couple of girlfriends before meeting Jill, and chaperoning was new to me. But just because I had handled relationships one way in the past didn't mean I couldn't do it differently going forward." Ben: "My dad was the one who put a fire under me. He encouraged me to take initiative and to get a job. And he did this long before I met Jessa." 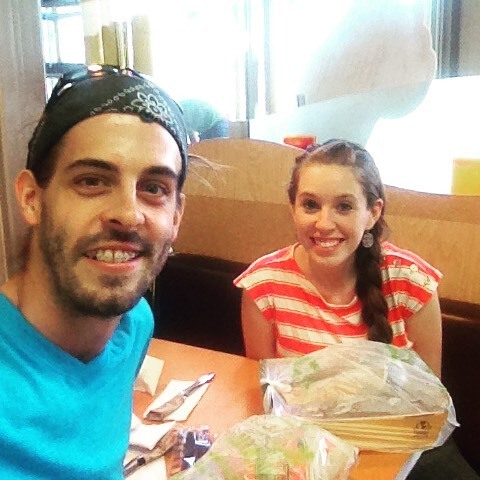 Jill: "As Derick said, he and my dad had a prayer-partner relationship for about a year and a half. 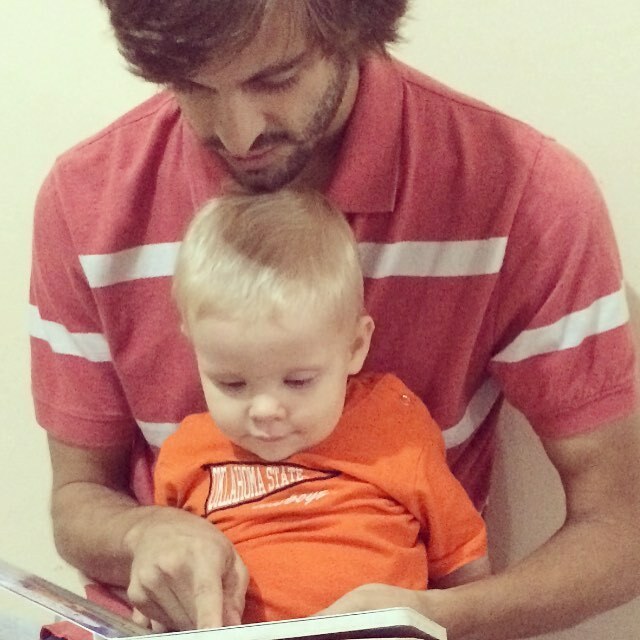 My dad was impressed with Derick, and his confidence made me feel more secure about getting to know Derick better. My dad said we might have a lot in common, and suggested that we start texting." 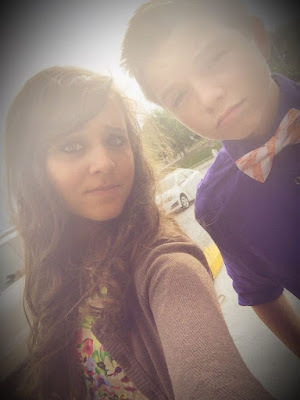 Jessa: "The day Ben and I started courting, we began our tradition of calling each other on the phone every night! These were such special times. We would talk about everything from how our day went, to what we had been learning from our Bible reading, and then just anything else that we wanted to talk about. These calls were not "chaperoned." They were private--just between the two of us."